Leandra is the founder of the food and lifestyle blog The Magick Kitchen, which focuses on Kitchen Witchcraft, herbalism, and many interests and issues related to the Pagan community. From her blog, she grew a Facebook community to over 16,000 followers, which then led her to write a variety of books focused on helping the beginner and seeker find their path, like Magick in the Kitchen, A real-world spiritual guide for manifesting the Kitchen Witch within. Leandra believes in religious equality for all. Her work and dedication to the community demonstrate her vision of justice and the value she places on the Earth-Centered religious community. She believes in fighting for our civil rights and our freedom to worship as we are called; in safety and with independence. She also feels that through sharing knowledge and through creating connections we build a stronger community. 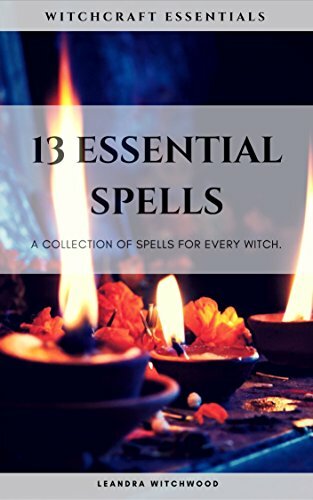 Additionally, Leandra spends time educating Witches & Pagans on developing a practice and tradition that is unique to each individual or group. She heavily focuses on the use of herbs for a variety of magickal and spiritual purposes. This shows up in her use of herbs in tea rituals, and more. Leandra enjoys making her discussions, workshops, and talks interactive as she creates her favorite recipes for others to sample and enjoy!